1. semua data di atas diukur dengan tangan, perbedaan ukuran 1-3cm yang mungkin, pls bandingkan ukuran gambar Anda sendiri dan pilih ukuran yang tepat saat menempatkan pesanan, untuk menghindari perselisihan! 2. karena batas dalam fotografi dan perbedaan dalam pengaturan monitor, warna TIDAK TIDAK dapat 100% dengan warna sebenarnya / nyata, mohon pengertian! super lovely lovely tunic thanks. i am super funny this order once more. already passed j'avais order in this time there some store summer and j'avais wanted so funny i have my purchase one board min. parcel 12 days received quickly between the controller and home package received. this veil tops lot me please!! 200% i recommend this seller i recommend this car quality level/price me me it fits perfectly! and 28.03.18 заказывала 13.04.18 received the order. made of first won this order. all like in the description, color bright, even suitable good pregnant. beautiful jersey. благодарна store. отслеживался order. указанно бирочке on all (hand wash, can be ironed,). not закажет пожалеет who. excellent, recommend to buy, to store thank you description and all-match color. 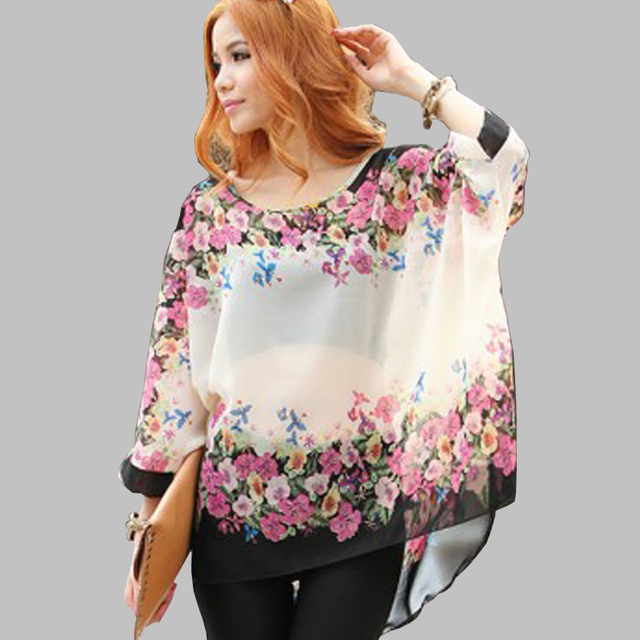 body very blouse срокам arranged shipping by. i love the figment, fast arrived ever super Is excellent quality. This is my second order and am very happy with product! Good quality and vibrant colors. Thank you! quality 4 proved very big, перешивать but'll itself fabric bright, nice touch. excellent распошонка summer,! take, handy. like me straight stitching. middle срокам shipping by. the 56 my, свободненько. recommend! to my (bust 125, abdomen hip + 130) маловат little 6xl this. can and dress that is well walk, but slightly when picked узковато cuff in hand also limited hip width wave if hands, dont middle part free watching the, no longer subsides зауженный moves and self waist bottom, одергивать need, it is not convenient turns, would like top "crawling" at the top. more compounds, bad fabric is breathable, if no фасоне in "обжимающих" hem and cuffs, and there would be effect “завязанного" package. shorter if less full figure, can and then the сносно. general looks good, decoration is normal, quite decent. me pareció SOMETHING zoom. But Is like a picture. came blouse within 23 days. size 5xl 48 просвечивает material, сшита neat, but the color is different, is not bright, as the picture, minus one star for it. goods store recommend. other think. 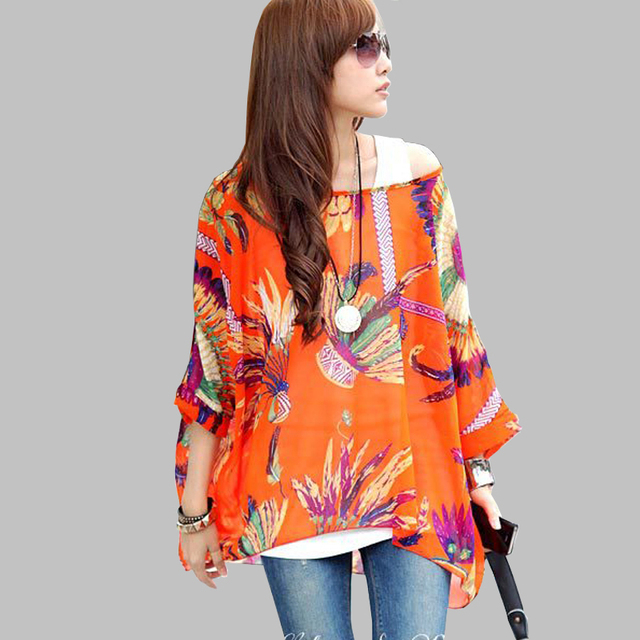 sent blouse fast, quality is good, no thread, no odors, fit size. thanks to store. 'll recommend. razletayka cool, sewing neat, fabric faux chiffon. 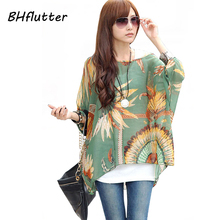 blouse not bad. will думала is transparent. proved the dense. color is rich, stitched neat. recommend. my chest 120 cm loose enough. moscow come to order fast, slightly larger weeks. 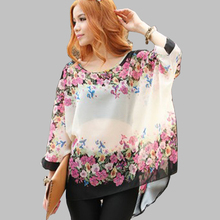 like blouse, 6хl size fit 52-54. such price for even very class! elegant humdinger really super summer, 56 growing up wear took прогадала 6хл размахайкой was and not to, exactly as turned all wanted простоват me by design unique, but want can rub 300? a little more do cutout перешью crew, расцветок more order so and a pair of, to store thank you shop thank you! all is very like, area калужской shipping to very fast. 08.02.18 goods paid, 20.02.18 moscow received in, very fast delivery! excellent quality! no superfluous thread, warps, odors, holes!!! advise. commodity excellent!-only 7 speed and. recommend. shirt is very beautiful. прошита neat, color and pattern as photo store. it is like. order more'll. perfectly fit to russian, size 50-52 свободненько. москву delivery within 12 days. super. thanks to seller. thank you store! туникой satisfied very, наполнила standby will love to wear. the russian заказала 48/50 size 4xl, угадала and. tailored neat. просвечивает, under bottom dress best top. this very расцветка восхитила, признаться though, love black combined with but super. нарядно very summer! goods seller recommend! other order will definitely tiger. if want to оголялось shoulder (as models) need order 5xl. love It COLORS very living This very nice!!! fine thin stoef. prefect for summer. little rare picture because the very static. quality is good, великовата slightly 52-54.